CLOSEOUTS. 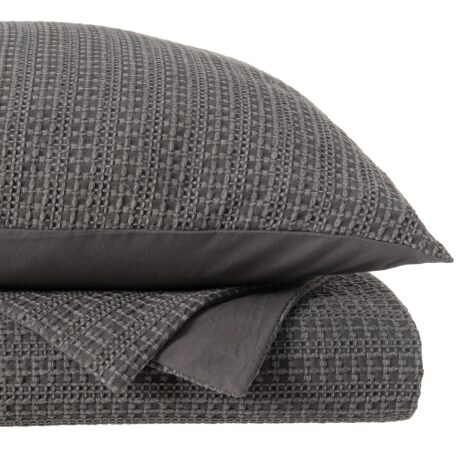 Indigoand#39;s The Pure Collection Waffle-Knit King duvet set is made of yarn-dyed cotton that is garment washed to bring a touch of sophistication and welcome comfort to your bedroom. Available Colors: CHARCOAL. Sizes: KING.